Are you having troubles finding a perfect gift for your partner, family, friends or colleagues? Surprise them with a special treat – an adventure they will never forget. Select your favourite design and we will send it to you by E-Mail or post. 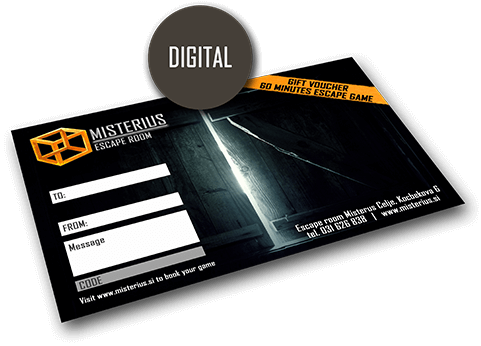 Each voucher has a unique code, which allows the recipient to use when booking the desired date. Voucher price is 60€. We will send you a gift voucher as PDF file to the selected E-Mail address. Gift voucher is carefully packaged and sent to you by post. You can also pick it up at our location.